I've had this guy for a while now, but haven't had a chance to photograph it until yesterday! 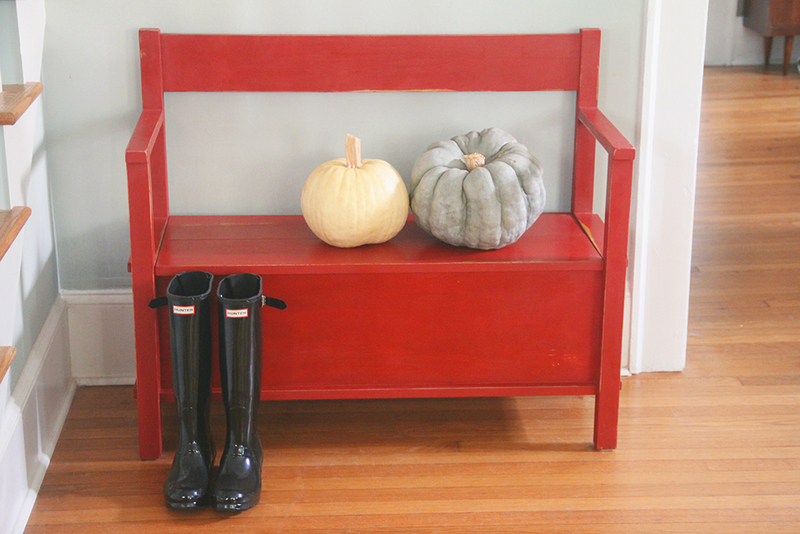 As soon as I saw this bench, I knew I wanted to paint it in red. It has a really rustic feel, and I played that up by distressing it so the original golden stain would peek through. 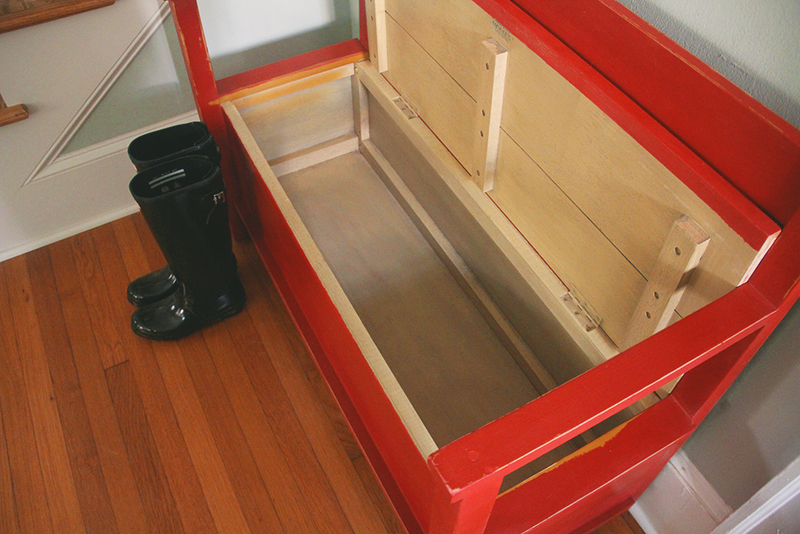 It's a perfect piece to have in your entry because having a spot to store your shoes is a must. [it even fits my big clunky rain boots!] Anyone who says they don't have clutter to hide is lying! In honor of Halloween, I thought I'd throw in a few pumpkins for good measure. Tomorrow I plan to post the rest of my bizarrely colored pumpkin collection. Who knew they came in so many colors? I plan on posting this guy on Craigslist and in my shop shortly. Now I'm off to take some photos of a house on this gorgeous fall day!